Nobody likes to have a family pet that isn't feeling well. 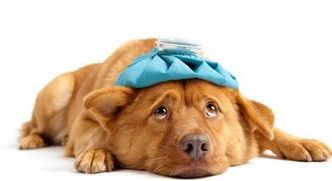 Often it seems that pets become sick when it is after-hours, a holiday, or you are out of town with your pet. Of course there is lots of information available online about over-the-counter (OTC) medications, but some of this information is not correct, misinformed, misleading, and even dangerous for your pet. We want you to have an accurate & safe OTC medication reference that is always available to you on our website. It is never safe to assume that a human medication is a safe and effective treatment for your pet, so if you have any questions, please speak with a veterinarian. Although these medications are generally safe when administered as described below, they may not be appropriate in every case. Of course, this information is NOT meant to replace the examination and diagnosis of a veterinarian and should be used at your own discretion. Remove food and water and offering nothing by mouth for 4 hours. If no more vomiting has occurred, offer small amounts of water, pedialyte or gatorade. Wait approximately an hour and if your pet is able to hold the liquid down, you may offer more liquids. Food should not be offered for 12-24 hours. Then food may be reintroduced in small amounts. If your pet is still unable to keep food down, please contact us. In dogs under 10 pounds, give a small amount (about a teaspoon) of maple syrup or Karo syrup every 2-4 hours while withholding food. This will help prevent hypoglycemia. Pepto Bismol can also be given to DOGS ONLY. If symptoms do not improve within 24 hours, please contact us. Please use the chart below to assist in giving the correct dose to your dog. NEVER GIVE IBUPROFEN, TYLENOL, MOTRIN, OR ALEVE TO YOUR DOG. The only OTC pain medication that you may give your DOG is Aspirin. If your dog is on any other medications, please check with a veterinarian before giving a dose. Aspirin should not be given if your dog is currently taking any steroids (i.e., prednisone) or an NSAID (i.e., Deramaxx, Metacam, Rimadyl, etc.). At most, Aspirin should only be given for 2-3 days, if your dog's pain persists beyond that, please contact your veterinarian. NEVER GIVE ANY OTC PAIN MEDICATIONS TO CATS! Dogs with allergies often suffer from excessive itching and red skin. Benadryl is an antihistamine that helps relieve swellings and itching from allergic reactions and can be used as a long-term treatment for allergies. Benadryl is not very effective in cats with allergies. For dry, non-productive coughing in dogs, Robitussin DM (Dextromethorphan)--(2mg/mL), can be given. 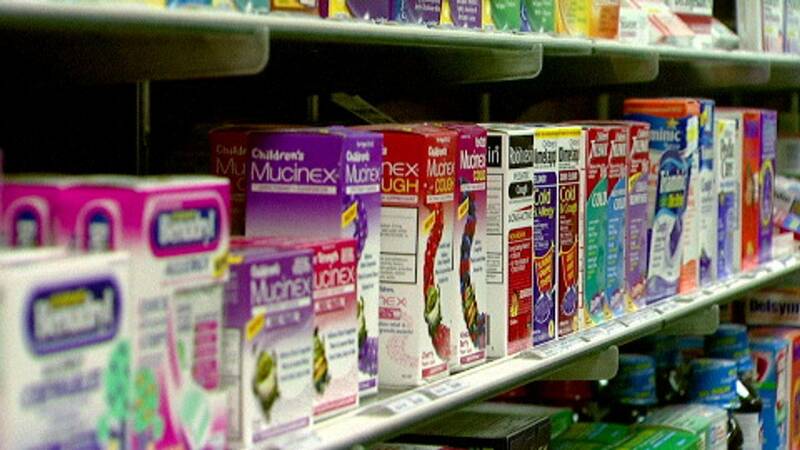 Read all ingredients thoroughly on the package, as some formulations may not contain Dextromethorphan or may contain additional ingredients (ex. Acetaminophen), which should never be given to your pet. A cough can be a indicator of a serious respiratory or heart condition, so if your dog's cough has not improved in 24 hours, please contact your veterinarian. In the unfortunate event that you have found your pet with a wound or laceration, first protect yourself from being bitten before trying to treat the wound. Although your pet may be the sweetest thing on the planet, sometimes a painful injury will trigger him/her to bite or bite at you as you try to help him/her. Once safely restrained, apply direct pressure to stop any bleeding and bandage the wound lightly (if possible). Most lacerations can be sutured for up to 12 hours after an injury, if the wound is kept clean and veterinary care is given within that time. For deeper or infected wounds, water and antibacterial soap are the best means of cleaning these wounds. Once wounds are clean, regular Neosporin or triple antibiotic ointment can be safely applied to dogs and cats. In the event of a seizure, please remain as calm as possible to reduce additional stress on your pet. Wrap your pet in a blanket (or lay on something soft), lay him/her on their side, and reduce lighting until the seizure stops (usually within 1-3 minutes). DO NOT PUT YOUR FINGERS IN YOUR PET'S MOUTH, THEY WILL NOT SWALLOW THEIR TONGUE. Contact your veterinarian as soon as possible. If the seizure continues for more than 5 minutes, take your pet immediately to the veterinarian.